Dear Wireless Survivors, finally We can reveal details about one of our latest collaborations! This time it happened to Zombie Girl, Canadian Electro Artist, to be deflowered by our machines. 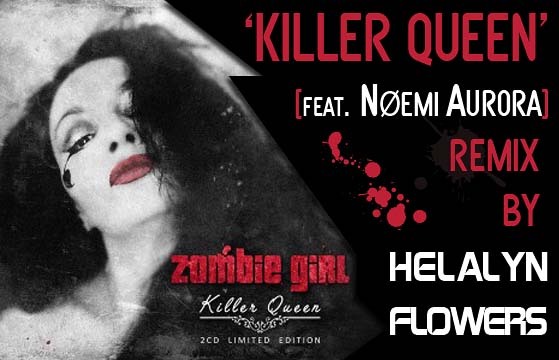 For the limited edition of her new album, we released an exclusive collaboration for the song ‘Killer Queen’, Remixed by Helalyn Flowers and featuring backing vocals of Nøemi Aurora! A 28-track counting download is also available from Bandcamp, with an immediate download of 4 tracks. Pre-orders available now! Official release date: October, 31st.